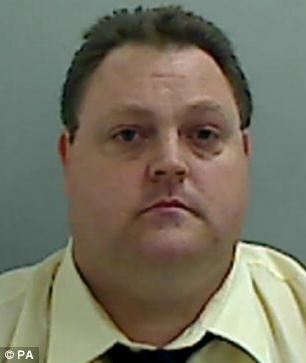 A council IT boss who tricked Vodafone into giving him £724,000 – and used the cash to buy a hot tub and a caravan – has been jailed for three years. Steven Topham, 36, manipulated the mobile phone giant’s customer credit offer, which rewards you for making purchases. The data network team leader realised he could make orders for Redcar and Cleveland Council, quickly cancel them, and still retain his bonus. Topham, from Middlesborough, then bought more than 1,700 high value phones, which he sold for a mark-up on eBay through an associate in Oldham. He bought a hot tub, sauna, holiday caravan and electrical goods with his earnings – but kept some handsets for himself or to give as presents. The boss also paid off substantial debts and bought theatrical lights which he rented to local productions. The fraud was exposed when Vodafone’s courier company grew suspicious about making a delivery of 32 Samsung Galaxies and an internal inquiry was launched. Police found £15,500 in cash in the boot of his car when they arrested him. Topham pleaded guilty to fraud by abuse of position at Teesside Crown Court earlier this year. Judge Howard Crowson blasted Topham for breaching the trust of many. He said: ‘You set out on what was clearly a professional fraud.’ The court heard Topham and his eBay seller would contact each other over the internet and meet in a Teesside lay by to exchange cash. A proceeds of crime hearing will take place next year.